Winter is often equated with family gatherings where everyone can share memories and laughter. During Thanksgiving and the holidays, we spend time with our loved ones as we renew our commitment to one another. And that includes our dedication to our four-legged friends who have kept us company throughout the year. Unfortunately, the winter may not be that kind to our furry pals. We can give them fancy winter boots and sweaters, but they still need our utmost attention to keep them safe in the winter season. The best way to do this is to recognize the different risks, dangers, or hazards that are quite common during this time of the year. This will help us better prepare for how we can safeguard the health and wellbeing of our dogs. 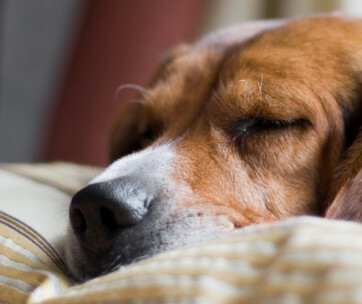 Here are 5 of the most common health hazards for dogs during the winter. It is very obvious that the weather itself is a great hazard to the health and safety of dogs. There are stories of dogs surviving several months in the inhospitable environment of Antarctica. But Mother Nature did not design all dogs to have the same capabilities. Puppies and elderly dogs are more susceptible to the effects of freezing temperatures. Canines with very short and/or thin coats are also more vulnerable to the effects of extremely cold weather. If you have an Arctic breed of dog like an Alaskan Malamute, a Siberian Husky, or an American Eskimo Dog, then freezing temperatures are never a hazard. These breeds thrive in such environments. But if you have a Greyhound or a Chihuahua, then there can be a real problem. Hypothermia is always a real threat whenever susceptible dogs get exposed to cold temperatures. There are three levels of hypothermia in dogs. If the core body temperature is between 90 and 99 degrees Fahrenheit, it’s considered mild hypothermia. In moderate hypothermia, the dog’s body temperature can be anywhere between 82 and 90º F. If the core body temperature falls below the cutoff temperature of 82 degrees, then you’re dog has severe hypothermia. Hypothermia can lead to different physiologic effects on the dog’s body. There is decreased metabolism, increased blood glucose, and reduced oxygen consumption. There are cardiac effects, too, such as decreased heart rate, irregularities in the contraction of the heart, and reduced cardiac output. Arrhythmias can also occur which can further aggravate the delivery of oxygen to the tissues. The number of respirations also decreases while the central nervous system starts to shut down. The dog may shiver in an attempt to conserve body heat, but this is often not enough. In the end the dog experiences confusion and a loss of consciousness. The pH of the blood also becomes more alkaline while the pressure of CO2 in the blood also decreases. Preventing hypothermia in dogs is not difficult. 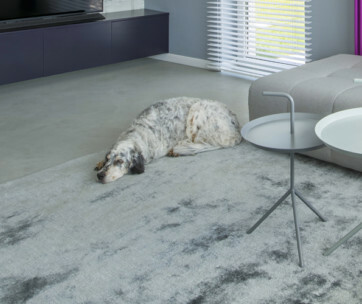 Heated dog beds work well to keep the core body temperature of dogs warm. Heated dog houses also help provide a warmer place for your dog to sleep in. This is not only to protect it against the cold surface of the ground, but also from equally-cold winds and snow. Aside from hypothermia, another danger that freezing temperatures can pose on dogs is frostbite. 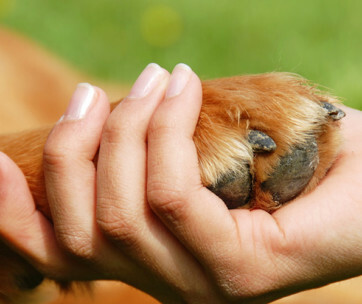 This often affects the limbs of the dog as well as other parts of its body. 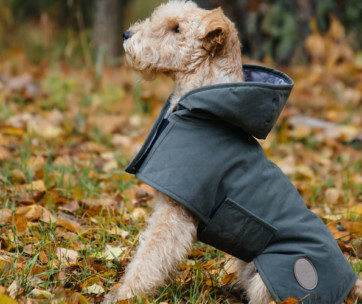 Winter dog boots and sweaters can help prevent frostbites from developing. During the winter, there is another prized possession that we have to look after – our cars. It is important that we maintain the operational integrity of the engine. When we leave the house in the morning, we expect our engines to roar to life in an instant. That’s why we use antifreeze to make sure that our engines will be functioning properly. Unfortunately, if we are not careful in the handling of this automotive product, we might end up endangering the life of our pet. Antifreeze can drip from radiator hoses and spill into the ground. Most antifreeze contain ethylene glycol, which has a rather sweet smell. This is the main culprit for antifreeze poisoning in pets. Keep in mind, however, that ethylene glycol is not only present in antifreeze. Other automotive products like brake fluid and engine coolant can also contain this hazardous chemical. Dogs can lick the puddle of antifreeze on the garage floor. Vets say that the fatal dose of ethylene glycol in medium-sized dogs is less than 3 ounces of antifreeze. Larger dogs may need larger amounts of antifreeze before experiencing fatal organ system damage. This substance can shut down the dog’s brain, kidneys, and liver. It’s quite easy to check if your pet is suffering from antifreeze toxicity or poisoning. There’s drunken behavior, uncoordinated or wobbly movement, and weakness. Some dogs may also present with delirium, diarrhea, vomiting, excessive urination, and very fast heartbeat. In more severe cases, the dog can go into convulsions or seizures, lose consciousness, and go into a coma. Preventing antifreeze poisoning is more about securing products that contain ethylene glycol. Keep these in a secure place. Fixing antifreeze leaks in your car and cleaning spills in your garage also help. De-icers are chemicals that help remove the ice by lowering the freezing point of water. Many of these products contain chloride salts such as calcium chloride, magnesium chloride, and others. These can make walking on sidewalks and driving on roads a lot safer for us humans. The problem is that the chemicals can remain on these surfaces and dogs can get in contact with them. It is one of the inherent properties of these chemicals to help prevent the rapid formation of ice on road surfaces. If dogs lick the surface that contains these salts, they can suffer from ice-melting salt poisoning. This can produce vomiting, lethargy, diarrhea, and loss of appetite. The dog may also exhibit abnormal gait that’s similar to a drunk man. 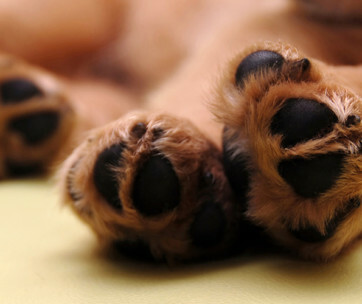 In severe cases, the dog can have edema and excessive urination or thirst. If the condition remains unchecked, it can lead to permanent damage to the kidneys. This leads to seizures, which can depress the brain. The dog falls into coma before dying. When walking your dog outdoors, it’s important to protect its paws. The salts can attach to the skin of the paws. Your dog can also lick its paws and ingest these hazardous de-icing salts. Winter dog boots can help in this regard. Moreover, prevent your pet from licking puddles on the road. These may contain de-icing agents. 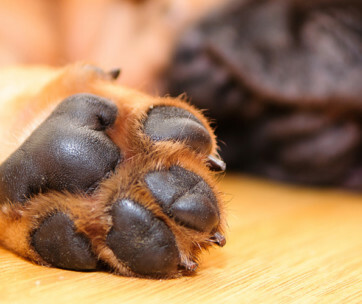 Once you get home, cleaning your pet’s paws can remove these salts. And if you are going to de-ice your driveway, it’s best to look for a pet-safe product. Winter can bring uninvited guests into our homes. Rodents, like rats, mice, squirrels, and chipmunks can enter our homes to seek warmth from the bitter cold. You cannot blame them because your house is warmer and cozier than the outdoors. Of course, being unwanted guests, people will use rodenticides to get rid of these pests. And this is another hazard to your dog’s health. Rodenticides are very powerful pesticides. Many of them contain long-acting anticoagulants, which can lead to profuse or uncontrolled bleeding. 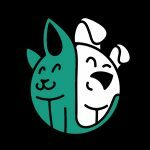 There are also those with cholecalciferol that can lead to the formation of calcium deposits in the dog’s heart and lungs. Some may form kidney stones or produce muscle weakness and vomiting. Some rodenticides contain bromethalin. This chemical can produce anorexia in dogs. It’s also possible to produce paralysis of the rear legs, generalized seizures, and central nervous system depression. Rodenticides that contain phosphides often produce kidney damage and osteoporosis. If you have to use these pesticides in your house, make sure to secure it well in the bait mechanism. You don’t want your pet to gain access to these chemicals. A better solution is to fix potential entry points for these pests like gaps in your fence or wall. People love going over frozen bodies of water like ponds, rivers, or lakes. This is the only time they can explore this part of the environment without getting wet. Unfortunately, it is never safe to walk or play over frozen bodies of water. It is very difficult to determine with absolute certainty that the ice will be able support your body weight. The same is true when walking your dog. Under no circumstance should you walk your pet over frozen ponds, rivers, lakes, or any other body of water. One wrong step can produce a crack in the thin ice. The water beneath this sheet of ice is also very cold. Your dog can suffer from hypothermia in an instant. If you have to walk your pet over frozen bodies of water, it’s best to put it on its leash. This way, you will have better control of its movement. You can also pull it out of the water a lot faster. Winter can be so much fun for everyone. However, there are certain things in the winter that are quite hazardous to our pets. Recognizing these hazards can help you make more appropriate preparations on how to avoid them.